The United States’ Federal Aviation Administration (FAA) has given a Category 1 (CAT 1) rating to Vietnam. 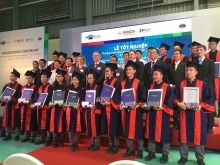 US Ambassador to Vietnam Daniel Kritenbrink presented the FAA’s certificate to the Civil Aviation Authority of Vietnam (CAAV) in a ceremony on February 15. 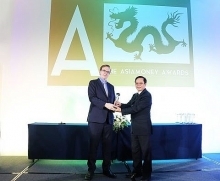 Speaking at the ceremony, Minister of Transport Nguyen Van The said receiving the CAT 1 rating marks a major event for Vietnam’s aviation sector, as well as an important stride in aviation cooperation between Vietnam and the US. 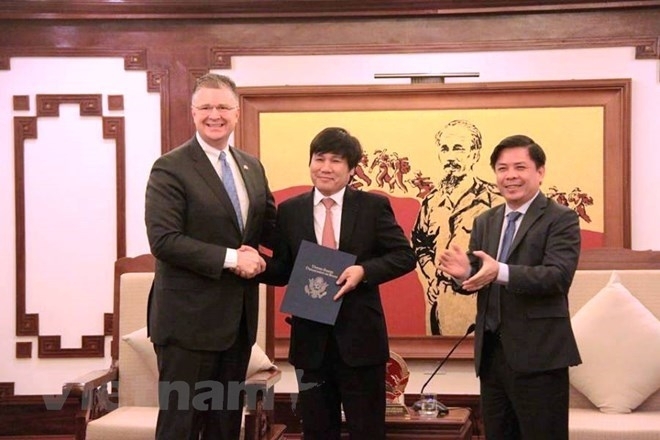 The US diplomat said the rating shows that the CAAV complies with US and international safety standards, adding that it is a significant achievement thanks to the efforts of Vietnam’s Ministry of Transport and the CAAV. With the Category 1 rating, Vietnamese airlines can establish services to the US and carry the code of US carriers. It also has helped to enhance the brand of Vietnamese aviation on the international market, said CAAV Director Dinh Viet Thang. He stressed that the sector has made technical preparations for the opening of direct flights to the US over the years, while the CAT 1 rating serves as a significant factor towards realising the target. There are currently no direct flights between the two countries, despite a large market catering to tourism and visits by friends and relatives. Travellers looking to visit the US currently need to connect in other Asian nations and territories, such as China, Hong Kong, and Japan.